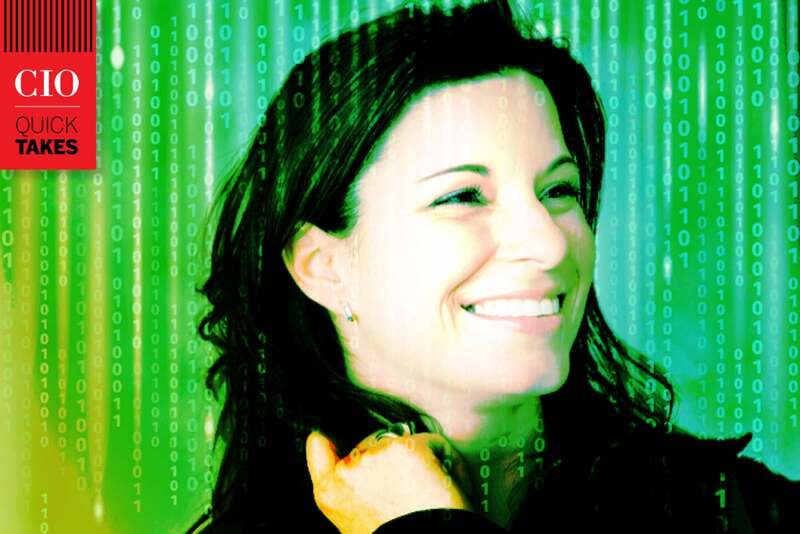 What would a woman in tech do about the gender gap? We asked seven CIOs and other IT executives, who happen to be female, what they think everyone should know about women in technology. While the roughly 1 out of 5 average is not particularly impressive in terms of diversity in the IT executive cirlce, we were curious about what the women IT leaders who climbed the ladder wanted to share with men and women who work in the technology field or interact with technology companies. There is scientific research that shows the differences between men and women’s brains that prove this idea. I have read multiple studies that talk about a woman’s ability to better connect the left and right sides of her brain better, which helps with taking on complex tasks simultaneously. Core technical skills are gender-neutral ... Level the playing field and always be conscious of decisions you make – be it pay, opportunity or just camaraderie. Let the best person get the opportunity and give the woman a fighting chance. Read on to discover what successful women IT leaders think you need to know about gender equality in the tech field. Usha Nakhasi, senior vice president and general manager, Service Benefit Plan Administrative Services Corporation. Women have all the STEM skills the industry needs but can be an overlooked IT resource. We have a great capacity to adapt to changes in the marketplace, are open to ideas and take the time to objectively weigh them before making a decision. Taking this time for analysis may give the impression that we are not as knowledgeable, but it is a key part of our decision-making process, one that leverages our organizational skills and our attention to detail. Building high-performing teams is a key objective for many women. We are skilled at collaboration, building consensus and mentoring others. We do not use and discard team members, but look out for them rather than ourselves. Women in IT not only have outstanding technical skills, but also bring the people skills, perspectives and viewpoints that are vital to an organization’s success in increasingly diverse and competitive marketplaces. Renee Zaugg, vice president, infrastructure and development services, Aetna. While the IT industry remains male-dominated, there are many things women excel at that other leaders may not be aware of. One of the most significant qualities, I believe, is a woman’s ability to take on multiple complex tasks simultaneously with a successful outcome. Women can easily move from meeting to meeting or jump from multiple topics quickly while remaining organized. I think about the conversations I have on a daily basis, new people I meet, topics that are discussed, and I know the important items to pay attention to and can quickly make impactful decisions. This is important in the technical industry with constantly changing/new technologies introduced every day, and also applies to taking care of things at home. There is scientific research that shows the differences between men and women’s brains that prove this idea. I have read multiple studies that talk about a woman’s ability to better connect the left and right sides of her brain better, which helps with taking on complex tasks simultaneously (Dr. Ragini Verma, University of Pennsylvania). Women can get more done in a shorter amount of time, and by using these functions of our brain, we are able to use our instincts yet provide logical thinking at the same time. Additionally, I have learned that men have stronger connections in parts of their brains that help them focus and resolve an issue quickly under pressure. Overall, having this information helps me as a leader and teaches us that diversity plays an important role in our organizations. Start talking about men in tech instead of women in tech. The problem isn’t with women in tech but how women are perceived and given opportunities by men in tech. Core technical skills are gender-neutral. Women are often promoted only when they perform where as men get promoted based on their potential. Level the playing field and always be conscious of decisions you make – be it pay, opportunity or just camaraderie. Let the best person get the opportunity and give the woman a fighting chance. Kristie Grinnell, vice president, Information Technology and CIO, General Dynamics IT. It is well-recognized that there is an emerging gender gap in terms of women employed in the technology sector. According to the LinkedIn 2016 Global Talent Trends Report, only 30 percent of the technology industry’s workforce is comprised of women. As executives within the C-Suite, we need to ask the question of how we can position ourselves as mentors, supporters and advocates and show the next generation of women the various paths that are available in technology. One path might lead to a technical expert in a specific field, one path might lead to a technology generalist and one might lead to a technology leader and then business leader. Our company witnessed the culmination of this in 2013 with the appointment of Phebe Novakovic as chairman and CEO. Within General Dynamics IT, we’re focused on building a foundation of mentors and seeking out opportunities to cultivate the long-term success of women with technical and soft skills to fit their unique path. That is what is great about IT. There is a different path for everyone and you get the chance to define it. Ultimately, our actions today will have a positive impact on our company, its culture and the industry-at-large. Pamela Click, managing director, Global Corporate Solutions Technology (GCST), TIAA. “Women are driven to excel, have a strong work ethic, have unique insights and are dedicated to their job. Professional women in IT strive to give it their all, and often more. At times we are balancing personal, community and professional responsibilities … by choice. We are heads of household, parents, ex-military, elder care givers to name just a few of our diverse responsibilities and backgrounds. We need sponsorship and to be actively considered (targeted, top of mind) for new roles, challenges and opportunities in the workplace. By embracing women, you are promoting diversity of thought – a characteristic omnipresent in high-performing companies. 1. Remain authentic. Remaining the person you are is key. Women have a different style to communicate, to interact with others, to negotiate. Benefit from this, this can be a unique advantage in a male domain. 2. Recently, I was the only woman at a CIO roundtable with 31 men. As a female IT leader, you stick out. Benefit from this surprise effect and the attention you gain. Show your passion for IT and make clear what you want to achieve. "Women and Technology" is a particularly exciting topic and a very good match. It’s all about the interface between technology and people, about bringing the right people together to make the technology functional. 3. Communicate your goals. I explicitly communicated my goal to become CIO. This makes it concrete for yourself and allows others to support you. In this case, networks are an important element. I am in a couple of IT networks as well as in women-oriented networks. The basic idea: networks can inform and support especially through connections. Women thrive in companies that embrace equality, diversity and inclusivity in all ranks. Those who grow into the leadership ranks in technology have a set of characteristics that are extremely valuable to companies and their bottom lines. At their core, these women are naturally driven, and they are committed to personal growth. They excel at managing change and handling difficult situations, which speaks to their ability to adapt and adjust. These women also place a high value on Emotional Intelligence (EQ). They use their EQ to build relationships and networks, maneuver organizational politics, and recruit the right mentors and champions to promote them. These women have learned the art of balancing work and life, which makes them masters at multitasking, balancing competing priorities, delegating, recruiting talent, and outsourcing work to get the desired results. They’re also leaders in their own right, as more women are following in their footsteps.